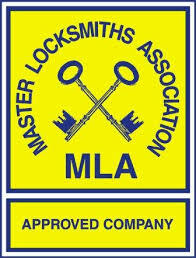 The Master Locksmiths Association, the UK’s leading trade association for the locksmith industry, has pledged its support for a rapidly growing campaign to make unsafe automated gates a thing of the past. The MLA is amongst many influential groups in the security, enforcement, inspection, education and safety sectors which are backing Gate Safety Week (October 10 – 16). The campaign is being organised by the DHF (Door & Hardware Federation) in a bid to focus attention on the dangers posed by badly installed and poorly maintained automated gates. The DHF is the trade body representing the leading suppliers, installers and maintainers of powered gates, traffic barriers and powered access control automation equipment. There have been nine deaths in the UK and Ireland – six adults and three children – several serious injuries and countless near misses in tragic accidents involving badly installed and poorly maintained powered gates and barriers. Properly installed and maintained powered gates are perfectly safe to use. But it is estimated that only 30% of the 500,000 automated gates in service in the UK are, in fact, safe. Recent significant developments within the powered gate industry mean that this year’s Gate Safety Week campaign will be even more hard-hitting than previous campaigns. 2016 saw the launch of a new industry code of practice designed to reduce the safety risks associated with powered gates and traffic barriers to as low as is reasonably practicable. All DHF members must abide by the Code of Practice for the Design, Manufacture, Installation and Maintenance of Powered Gates and Traffic Barriers (DHF TS 011:2016) which provides a framework to ensure a gate is safe and therefore complies with the law. The National Security Inspectorate (NSI) is using DHF TS 011:2016 to audit installers and maintainers in its new powered gates certification scheme. NSI, the UKAS-accredited certification and inspection body which audits security and safety providers, hopes to announce the first accredited companies under its scheme at Fencex, the perimeter security and access control exhibition, on Wednesday October 12. To mark Gate Safety Week at the exhibition, DHF will be exhibiting on Stand 52 and will be spreading the word on powered gate safety with the slogan Safe Gates Save Lives. DHF training officer Nick Perkins will be undertaking a Q&A session on gate safety at Fencex. This will be followed by an “open surgery”, again with Nick offering his thoughts and knowledge on this vital subject.